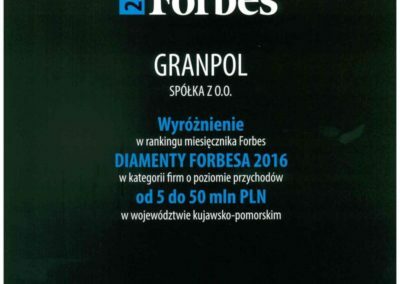 Our answer to frequent changes in today’s economic environment is to continually improve and develop the company. We strive to achieve that through constant monitoring and analysis of trends in the market. 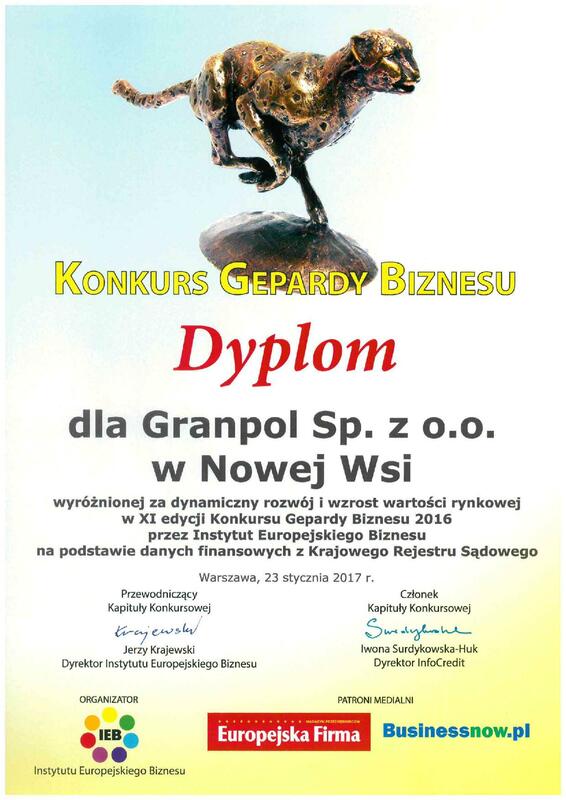 Our efforts pay off and so far we have been awarded with several certificates and honours. Most importantly, as ISO 9001:2015 certification holders, we are strongly committed to provide an excellent quality products and services. 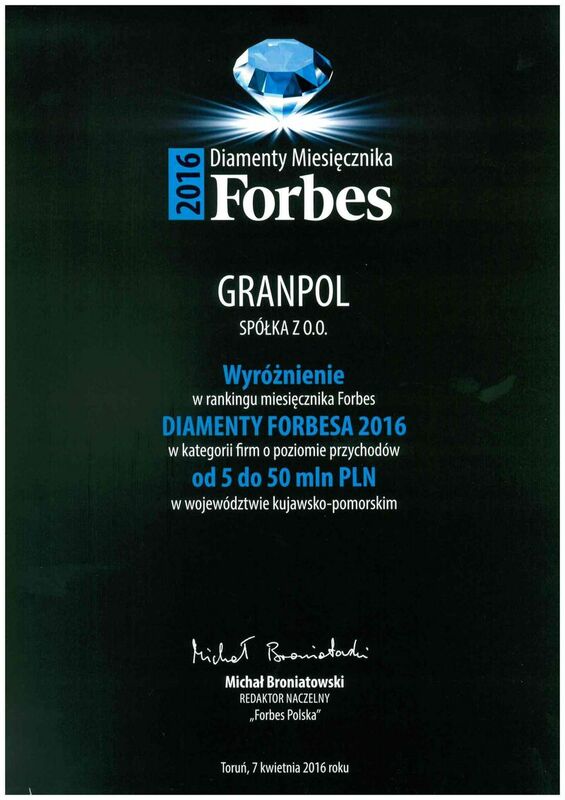 In 2016 GRANPOL has been given the recognition by “Forbes Diamonds 2016” for being one of the most dynamically developing companies in the country. 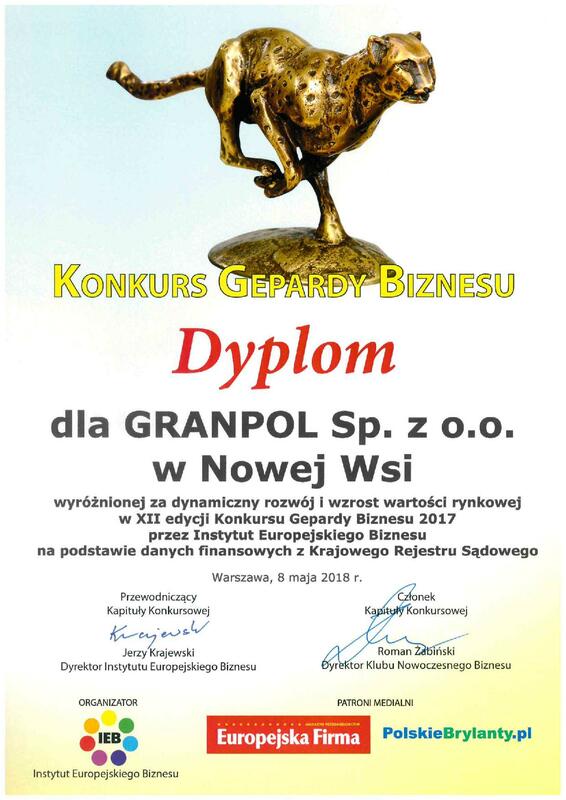 Additionally, in 2016 and 2017 we have been honoured in “Gepardy Biznesu” contest organized by European Business Institute (IEB) for companies with the most significant increase in market value and the fastest growth. 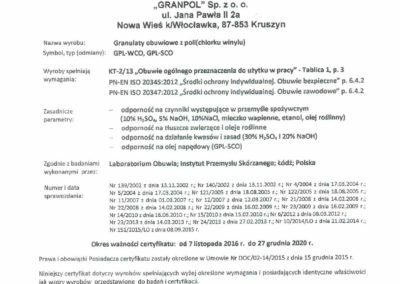 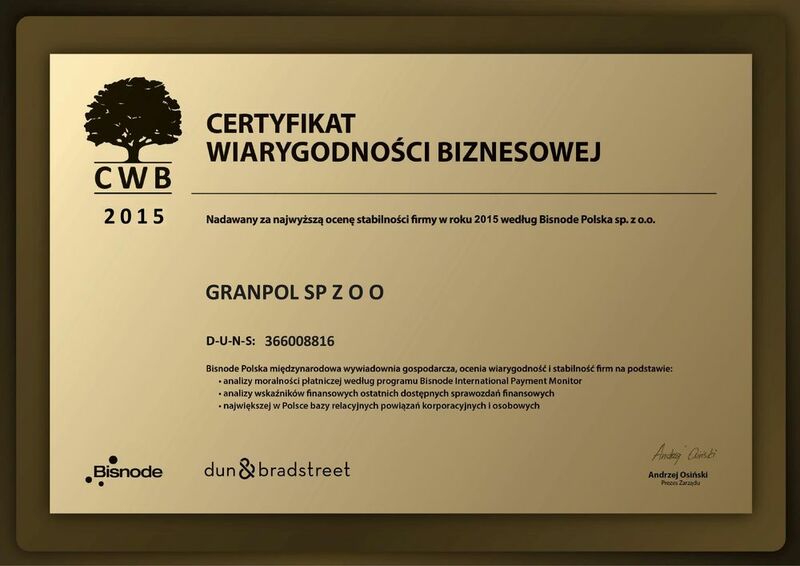 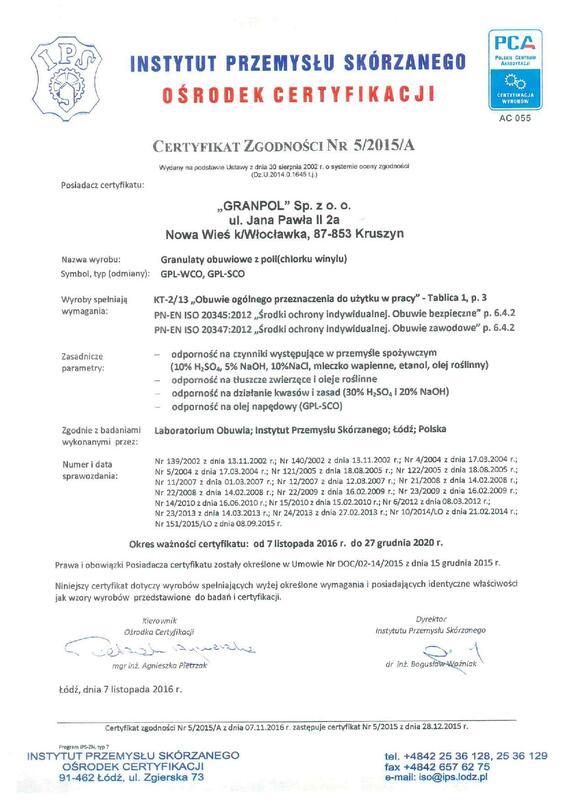 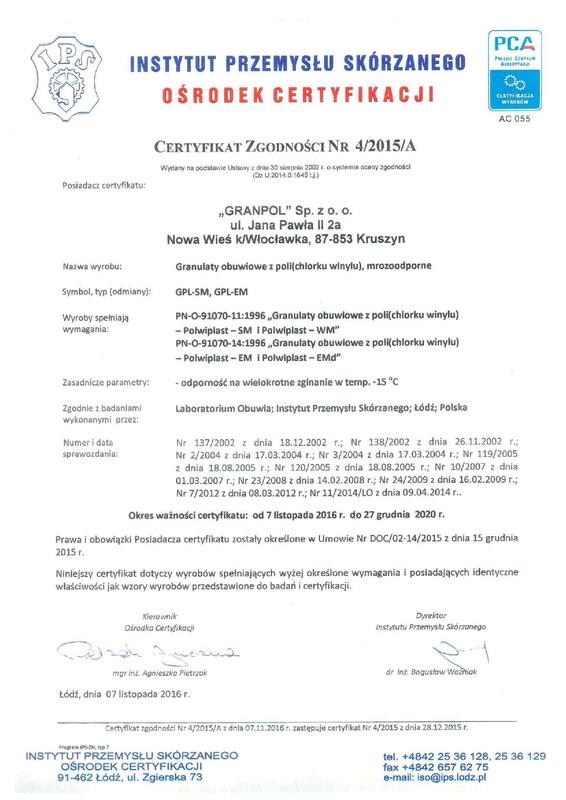 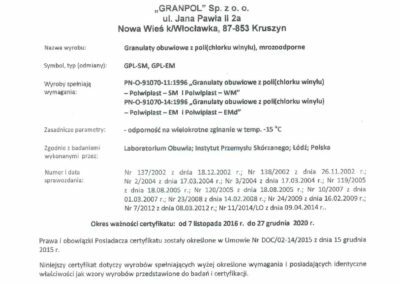 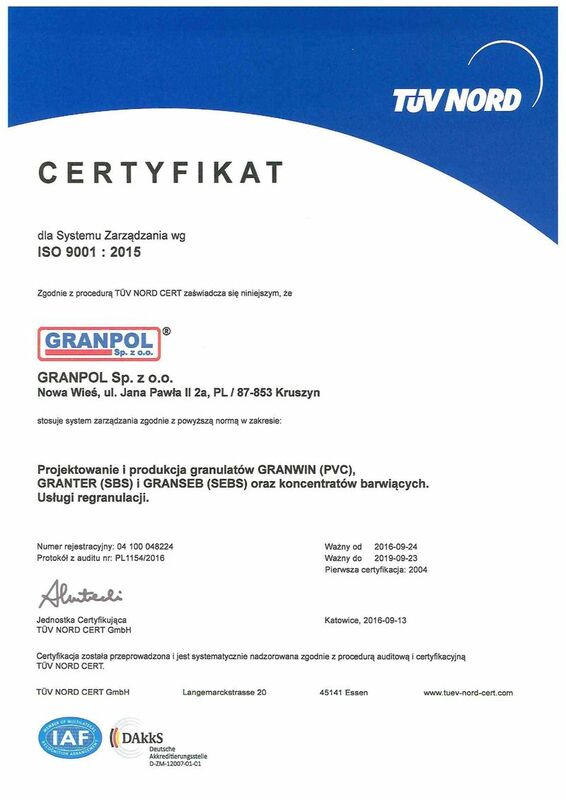 Moreover, we have achieved certifications of the Polish Chamber of Shoe and Leather industry (Instytut Przemysłu Skórzanego), which shows that our products are made with compliance with standards of………..